Over forty years ago Linn was born out of a simple truth; the more accurately a system reproduces sound, the greater the impact it will have on the listener. The better the sound, the greater the benefit. Ever since then, Linn’s goal has been to produce music and movie systems capable of delivering the full emotion of a live performance in your home. The best sound systems can change your life. Only music and movies reproduced to the highest standards can bring you lasting pleasure, so at Linn, accurate reproduction always comes first. Linn Products was established in 1972 by Ivor Tiefenbrun. Born in Glasgow, he was passionate about two things – engineering and listening to music. When he couldn’t buy a hi-fi good enough to satisfy his needs he decided to make one himself. In 1972 Linn introduced the Sondek LP12 turntable. The longest-lived hi-fi product still in production anywhere in the world, and still the benchmark by which all turntables are judged. The remarkable ability of the Sondek LP12 turntable to extract more music information from records led to the understanding that retrieving and protecting the source signal carefully was what mattered most. The Linn Sondek LP12 turntable revolutionised the hi-fi industry proving categorically that the source of the music is the most important component in the hi-fi chain. Linn then set out to make the other components in the hi-fi chain as revolutionary as the first, setting new standards for performance over the years with each new product. Today, Linn is a substantial independent precision engineering company based in Glasgow, Scotland, uniquely focused on the design, manufacture and sale of complete music systems for customers the world over who seek only the best. Recently, Linn have focussed on connectivity for their product ranges, so that Linn can be at the heart of everything you listen to at home, whether it be audio for your TV, Gaming console, Radio or Music for it’s own sake. The wealth of analogue and digital connectivity options within a Linn DS-M player, means it is easy to connect to and control whatever the source. The Majik range encompasses all that is Linn in an affordable level. LP or DS Music streamer source, pre and power amps and matching loudspeakers. 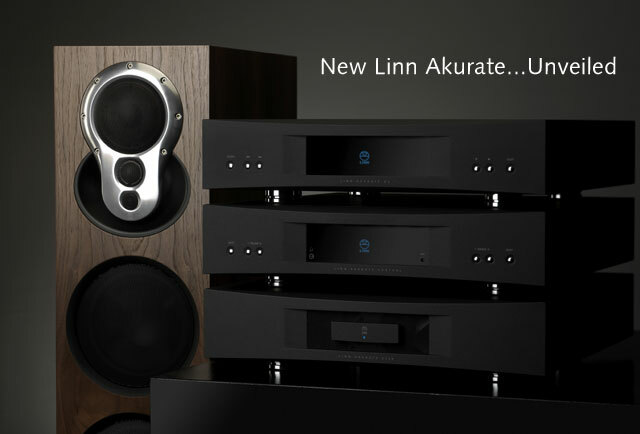 If you’re really serious about music the Linn Akurate system will make the hairs on the back of your neck tingle ! 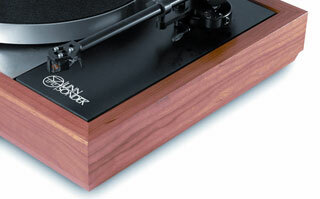 Turntable or DS Music streamer source, pre and power amps and matching loudspeakers. Just launched are the Series 5 systems. These are Akurate level speakers driven by an Akurate Exakt DSM, and feature all of the Exakt capabilities, but with speakers that are much more design orientated, and feature configurable fabric covers, and glass top and base plates. You decide whether it blends in with you décor, or stands out as a design statement. 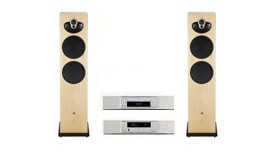 See our Linn Series 5 Page for more details. The Ultimate Linn System, simply jaw dropping, three dimensional beautifully detailed soundstage. DS Music streamer source, power amps and matching loudspeakers, including fully active Exakt systems where the digital signal processing and power amps are inside the loudspeakers. All the Linn Digital Streaming Systems can be controlled from the comfort of your Sofa via a Laptop or iPad / iPhone, or Android Phone. Come and see for yourself how easy it is to select and play your favorite music via a Linn DS.